When people first come to us seeking help with their business, one of the many topics we discuss is how many hours they currently work as most people want to work less. I’ve been thinking about this for myself and it’s so hard to put an actual number on how many hours I actually work. I start with the question, what classifies as working when you are a business owner? I have a massage every week and 9 out of 10 of them I spend thinking about work. Last week for the entire hour I was thinking about content I could write for blogs, social media and a book I’m writing, my brain didn’t stop even though my body was relaxed. I try very hard to relax and completely switch off. But my brain just doesn’t work like that, when I have ideas the ideas keep coming, they don’t know that it’s inconvenient to me in that moment. Most massages I wish I could have my phone to type notes into as I know I forget half of my ideas as they tend to come to me so quickly. So do I count that hour as time I’m working? What about last night when I had hardly any sleep because I was problem solving some issues and calculating numbers out for the next 12 months in my head. Do I count the entire night or just the few random hours on and off between actual sleep? Or do I even count it at all? What about when I’m in the shower and I think about something awesome that I could teach people about how to get through to their team or sell more product? What about those times when I’m in the middle of doing something like driving and I pull over on the side of the road to take notes about an idea that I have? I don’t always spend a lot of time physically present in my office working but it doesn’t mean I’m not working. My team come in to work in the morning and gleefully look at their computers wondering what new ideas I’ve sent them since they left the day before. They were giggling before Easter about how much would be waiting for them Tuesday morning, because they know what I’m like with 4 days off at home. It’s constant ideas because my brain doesn’t ever completely switch off. Tuesday morning after easter, there was definitely a long list of ideas and brain dumps that I had about a variety of ideas! For me and what I do, I am always working to some degree even if it’s completely unintentional. I honestly couldn’t tell you how many hours I work because every week is never the same. Even as I write this it’s 6:30 am in the morning. My hours are unconventional and I’m totally ok with it. I don’t ever feel as though I HAVE to work, I love what I do and I work when I feel like working. I am able to structure my work around my nearly 4 Year old daughter, if she is sick I don’t have to ask anyone for a day off and worry about the work I will be behind in. I can take her to ballet lessons at 3:30pm and not worry about needing to change my work hours around, or not even NOT let her do it because I have to stay at work till 5pm. I’m able to work from anywhere in the world. I travel A LOT attending seminars and events put on by my mentors. I crave education as that’s the way that I know I will grow and I am addicted to learning and personal development because I want to be a better more evolved human being all the time. My business doesn’t stop running because I am not physically present at my HQ. I have the flexibility and freedom to live my life anyway that I want to because I can work whenever and wherever I want to. The seminars and events I attend, they are work. They melt my brain more than going into my office does. They are mentally and physically exhausting most of the time. I come away with so much knowledge and education that I generally want to start implementing and changing things in my business and in myself straight away. Sometimes I need a break though and I may attempt to have a week off afterwards to recover from 5 x 15 hour days in a seminar room and an international flight for example. I can pick and choose how and when I work – which to me is complete freedom. I could never NOT work, I would be bored as all hell. I get bored after a week off work at home and am itching to get back into things because I’ve probably had 10,000 new ideas! As a business owner in the situation that I am in, it’s really hard to tell you exactly how many hours that I actually work. I don’t think about it because I enjoy my life and I don’t feel as though I am ever CONSTANTLY working and never getting a break. 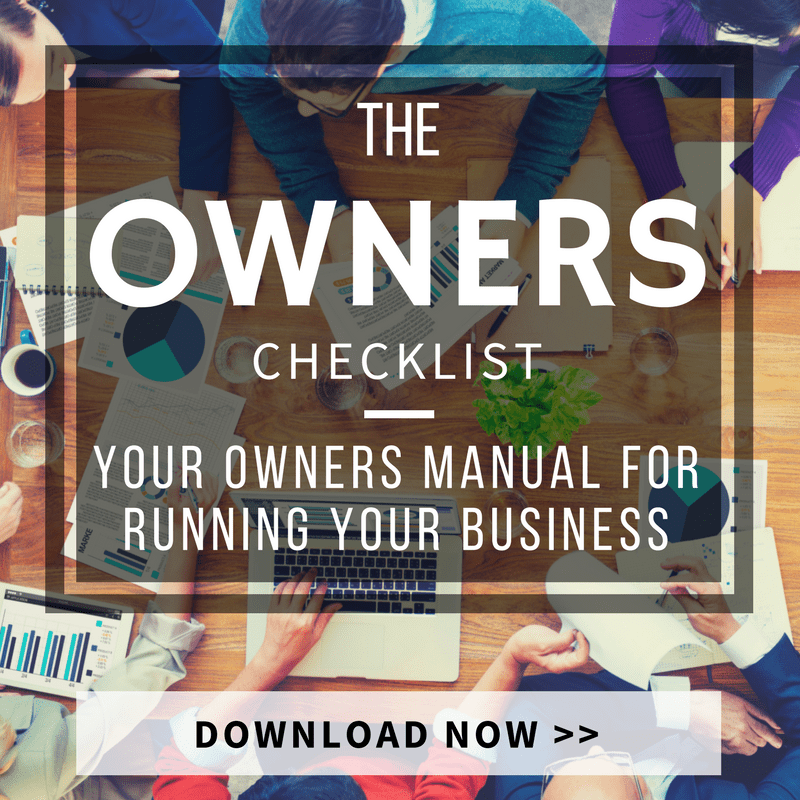 For many business owners their days are like groundhog day over and over again. They are stuck inside their businesses from 9am-5pm or even longer, 5-6 days a week. Then when they “leave” work they don’t actually leave because they are still constantly thinking about work and doing things for work. I’m not saying that as business owners we can completely switch off from work. Like I said, my brain doesn’t work that way all of the time. It’s about being able to know when the work line is and the home line is. When is appropriate to cross that line. We need to recognise when we need to be present with the people at home when we are at home. If your kids are trying to talk to you and you are on your phone checking your emails or scrolling facebook then that’s not being present with them. If your partner is sitting across from you at the dinner table trying to talk to you and you are distracted by your phone, texting people from work, emailing, scrolling facebook or anything else – you are not being present at all. I’m not perfect – there have been times when all of a sudden I have an idea or I get a solution to an issue that has arisen and I have to write it down before I forget it all. I will take the few minutes to do that then I go back to what I am doing at home. I use to think I could completely switch off and that I should be, but it is unrealistic when you are the creative brain behind the business. I love that I don’t work for my business, my business works for me. Every single part of my business gives me complete freedom to do anything I want to do whenever I want to do, that to me is the most important thing when it comes to being a business owner.